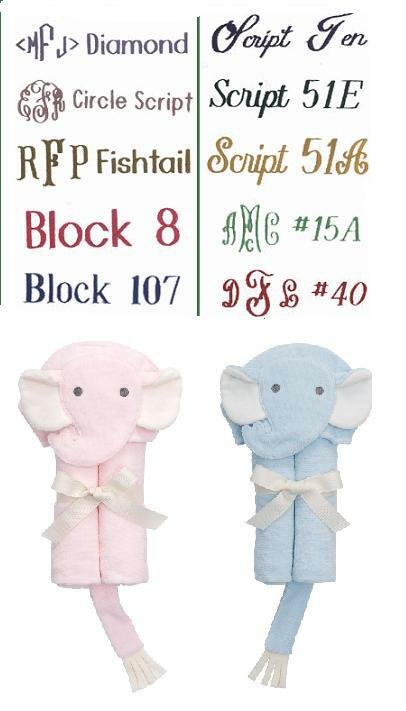 Personalization: Please Choose OneNoneSingle InitialMonogramName Towel Color: Please Choose OneGray-Sorry Sold OutPinkBlue- Only 1 Left! Initial, Monogram, or Name: Font Type: Please Choose OneNoneDiamond (monogram)Circle Script (monogram)FishTail (monogram)Block8Block107Script10Script51EScript51A#15A Font#40 FontCurlyStacked(monogram) Block Stacked (monogram) Name Placement: Please Choose OneFront of HoodAcross Back Thread Color: Please Choose OneNoneRedOrangeYellowDark GreenLight GreenBlueLight BlueDark PurpleLight PurplePinkBlackBrown Who is this item for? Soft, warm, comfortable and fun! 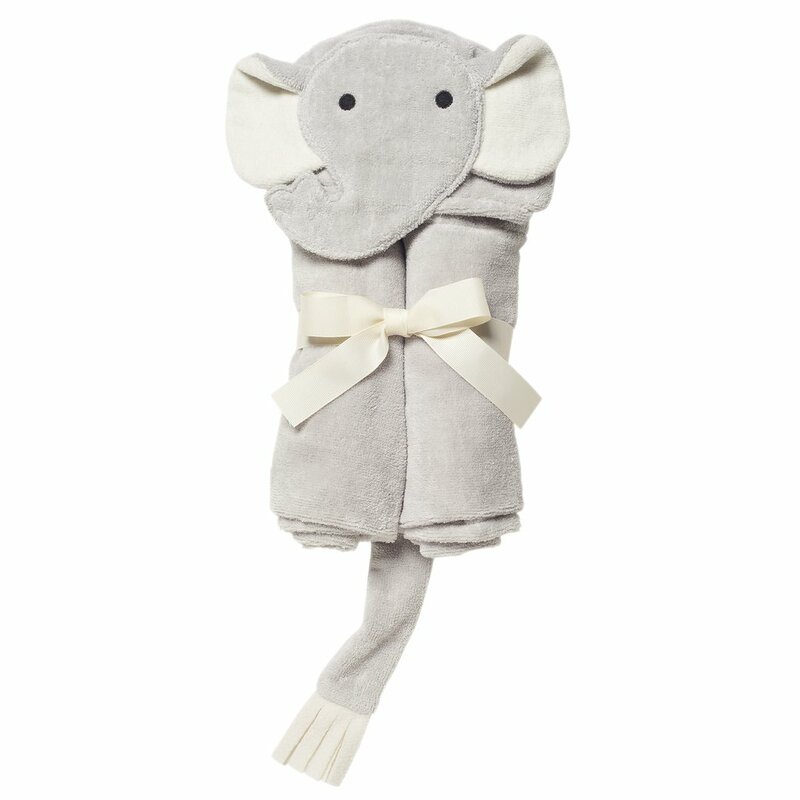 Your little one will always love being snuggled dry with our Elephant Bath Wrap. Made from 100% cotton velour terry, these bath wraps are always extremely warm, insulating and absorbing. Personalization can be done across top front of hood (forehead) or across the back. Typically for newborns and infants we would do embroidered name on hood and for older infants and toddlers embroidery would be across back.